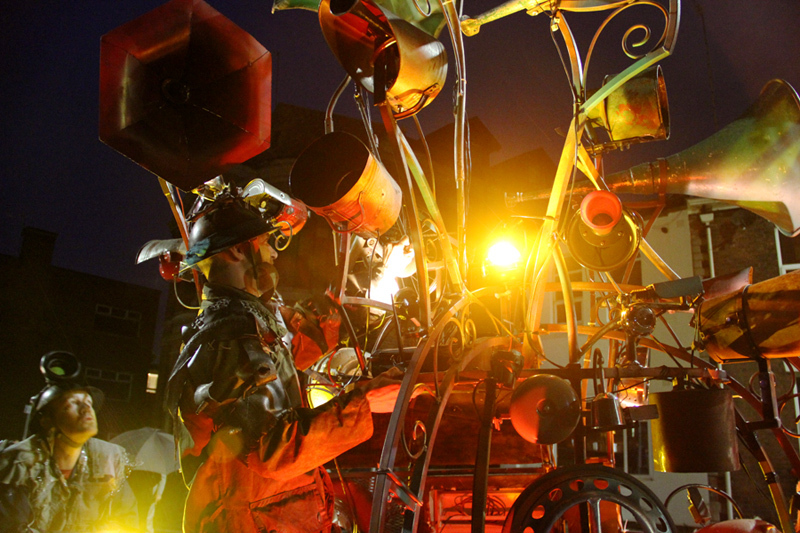 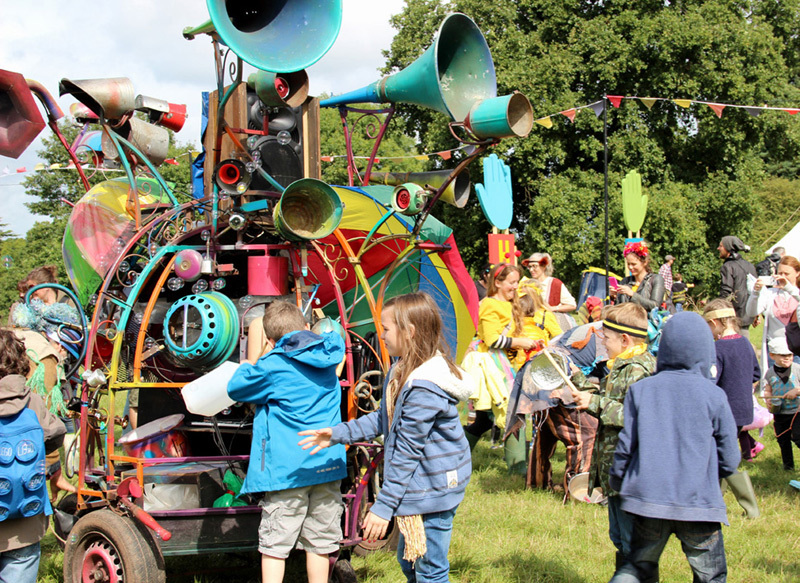 The Hurly Burly is a mobile sound sculpture, sonic amusement, twittering machine and junkyard delirium; packed with a tumultuous array of bells, sirens, alarms, whistles and mechanical percussion. 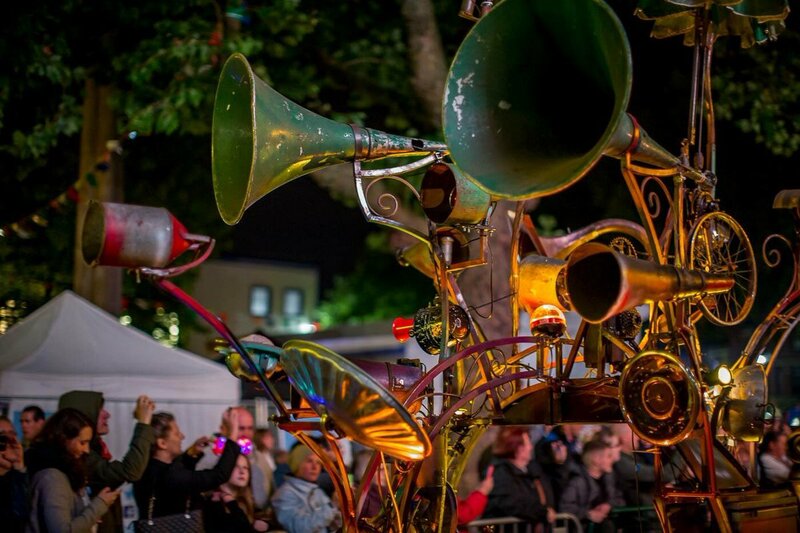 Combined with a live musician & performer the Hurly Burly creates a world of rusty waltzes, fog horn funk and wasteland folk dance. 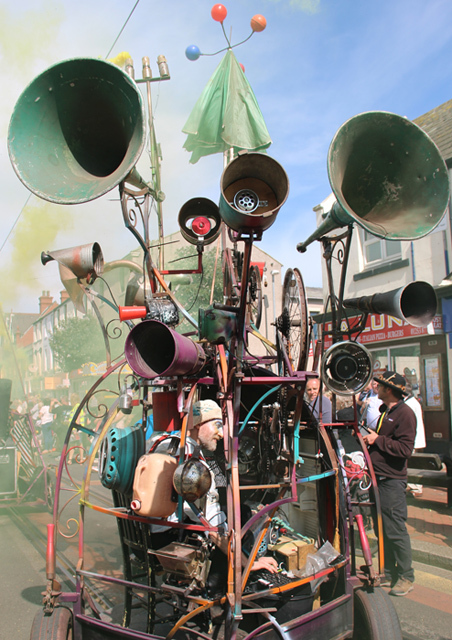 A mobile Island of Noise, it travels on a rag tag procession through audiences, stopping to perform scrapyard symphonies and scavenger songs. 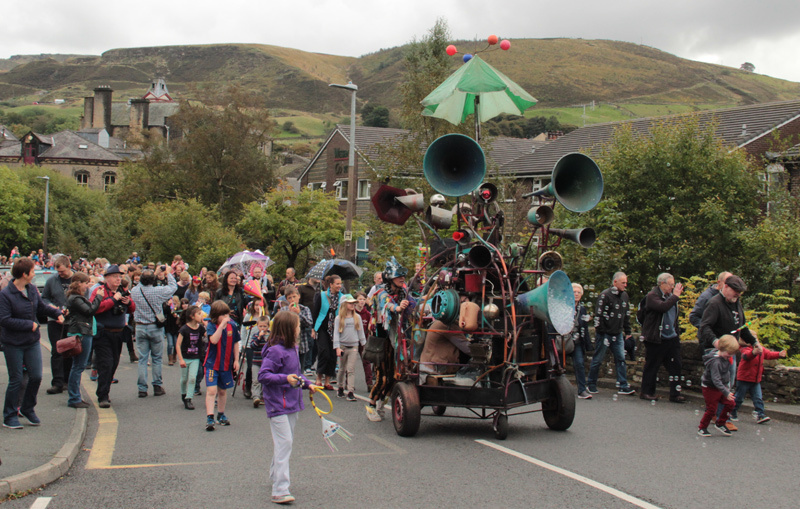 The Hurly Burly was initially commissioned by and for the 2014 Marsden Jazz Festival, financially supported by the Arts Council of England. 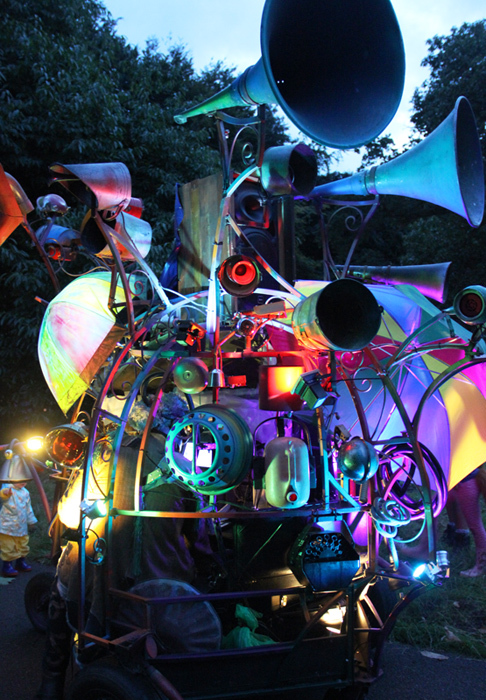 Since that first commission the Hurly Burly has mutated and transformed several times into its current incarnation; now complete with a custom built digital control system, enabling us to orchestrate splendid levels of sonic chaos. 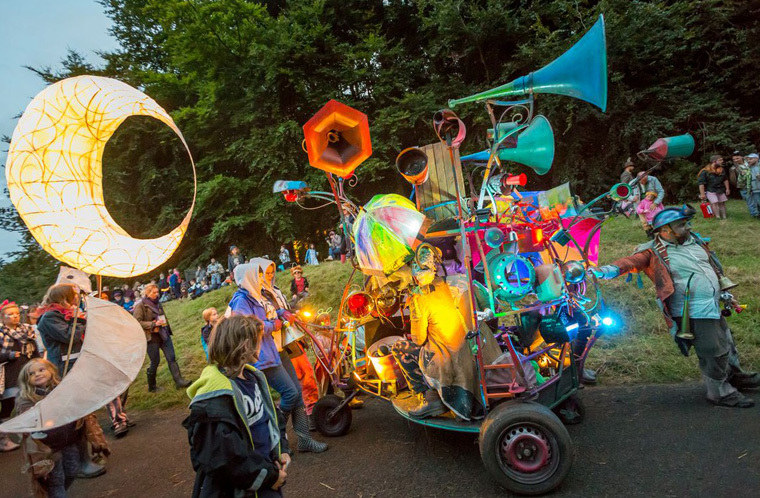 Available to book now for parades, processions, festivals and carnivals: contact us for more information and prices. 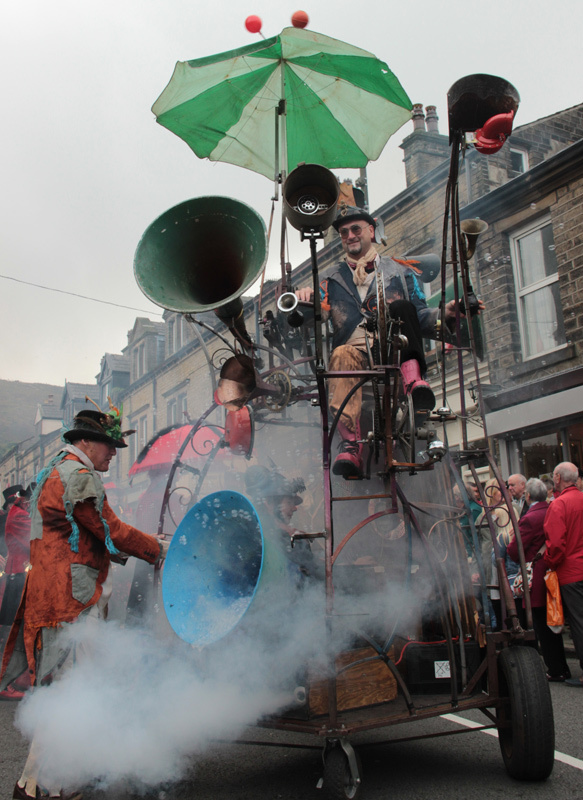 Hurly Burly in Hebden Bridge from Rag and Bone on Vimeo. 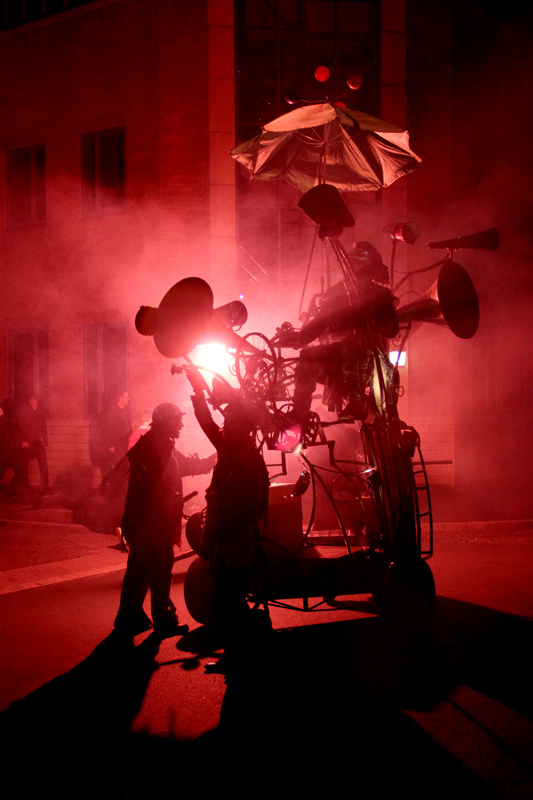 Hurly Burly from Rag and Bone on Vimeo.